Maybe these animals aren’t ugly, they’re just unusual. Real Monstrosities features those “less cute” members of the animal kingdom. Check out Real Monstrosities HERE. The Pacific leaping blenny is a 4 to 8-cm-long tropical fish found in reefs in Samoa and the Marianas, Society, and Cook Islands, in the western and southern Pacific Ocean. 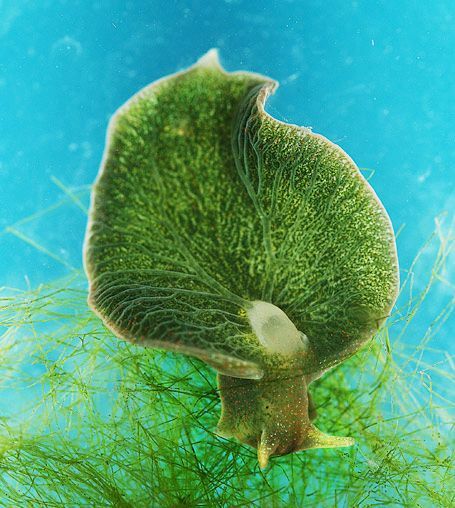 It remains on land all its adult life but has to stay moist to be able to breathe through its gills and skin. A group of researchers working in Iceland in 2006 discovered a really old clam. They wanted to figure out just how old it could be, so they decided to open it up and count the growth rings along the clam’s hinge ligament. They got their answer — and it was shocking. They said the clam was 405 years old. They’d found the oldest living animal in the world (excluding primitive metozoans). Only, it wasn’t living anymore, because opening it up had killed the clam. And little did they know, their measurement was wrong. Ming the clam was an entire century older than they first calculated. They recently measured again. And now they say it was actually 507 years old.